When you think of Seattle, you probably picture mild temperatures and overcast skies, which is the average weather forecast for most of the year. But when the summer heat reaches the high 80's and 90's, you’ll have been so used to the mild temperatures, that you might feel as if you’re baking in the sun, even indoors. Air conditioning — more specifically central air conditioning — may not seem like a necessity, but recent summers in Seattle have changed many new residents’ minds. What are the Benefits of air conditioning in the Seattle Area? Air conditioning in Seattle offers a variety of benefits, whether they’re obvious and on the surface or not. If you’re wondering how central air conditioning can keep you comfy and save money in the summer, here’s the scoop. Combats the hot days: Though most temperatures in Seattle are acceptably average, you can expect a minimum of 30 days during which temperatures will reach above 80 degrees. There were 45 days above 80 last year! Just a few years ago, Seattle saw a record temperature of 103 degrees, and there have been plenty of long, dry, hot streaks since then. A central air conditioning system in your home means you have the power to adjust the temperature to a consistent temperature when the heat gets unbearable. Creates options: Installing air conditioning into your central air system is one of the smartest things you can do for comfort and efficiency, because it gives you the option of cooling automatically when you need it. Having air conditioning or a heat pump, as part of your central air system doesn’t mean you have to use it, but it’s there in case the temperature gets too hot to handle. Central air over single unit: Besides providing you with even and consistent cooling, a central air conditioning system will ensure many more benefits over a single room A/C. If you have a studio apartment, a single air conditioning unit should be sufficient for your needs, but if your home is bigger, central air is a great choice. Today’s central air conditioners are far more energy efficient than having 3 or 4 separate room air conditioners and without the noise and blasting of air. Central air disperses cool air into each room equally, so you’ll be running the air conditioning system for a shorter amount of time before the whole house is cool. In addition, central air conditioners last 10-15 years with maintenance, which is longer than most single room A/C’s. Added security: On days when your option is run the air conditioning or suffer in boiling heat, a cooling system provides you with added safety. You don’t want to leave your windows open and risk a burglary, especially in the Seattle area, and an air conditioning system will allow you to keep them closed while you stay cool at the same time. Improves allergies: Along with a security risk, opening your windows also invites dust, pollen, and other allergens into your home, which can make you and your family sick. Central air reduces the need to open the windows, and filters the air, which lowers the risk of allergy attacks during the warmer months. Adds value to your property: If it ever comes to selling your home, you hope it will be as appealing as possible. One of the ways to ensure this is to add a central cooling system, which is especially attractive to home buyers in the Seattle area. You will be able to raise your asking price and invite more potential buyers to your door. Once you’ve established a clear desire for air conditioning in your home, you’ve got to decide which option will be the best for your specific circumstances. There are several things to consider when you’re trying to decide on the best cooling system for your home. Here are a few of the most important. Your home: Consider the type of home you live in. If it’s a condo, you’ll need HOA approval to make changes to your central air. Often these buildings have electric resistance heat and so the approval may be for ductless heat pumps. Seattle is also famous for old Craftsman or pre-war homes, which can present a considerable challenge for most central air installers. 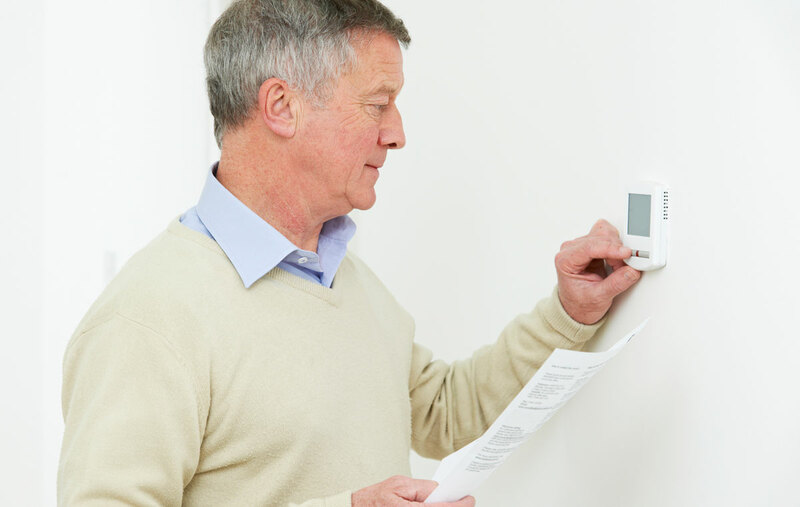 We at Washington Energy Services can help you install heat pumps or central air conditioners that will work with just about any home, however, no matter what its age is. Both heat pumps and air conditioners provide cooling and are good choices for our area. If you have a larger home with multiple levels you might need to evaluate getting two smaller central air conditioners vs. one big one. Though the initial cost of a single unit is cheaper, it can cost you more in utility bills, since it will have to work extra hard to cool every room in your house. Having two smaller units can also provide greater cooling control. Proximity: Your home’s proximity to other structures may play a role in the type of central air options you have. If that’s the case, your contractor will help you choose a central air system that meets the sound and noise ordinances of your area, and fits in the space you have. Most cities around the Puget Sound have noise ordinances. Power resources: Verify your access to electrical resources. Many older homes have limited ability to add major appliances at the level of a central air conditioner. If that’s the case with your residence, a ductless heat pump may be the right fit for you, since it requires less electrical service, or for a central air unit, new electrical service can often be added. Your AC installer will know what to look for. One of your biggest concerns with regard to central air is probably your ability to sustain energy efficiency. You don’t want to see your utility bill jump hundreds of dollars each month because of your new central air system. The good news is that today’s modern air conditioners are much more energy efficient than even 10 years ago. In addition, you can take other steps to improve your energy efficiency. For optimal efficiency, reset your thermostat at 78 degrees instead of 72. Although that may seem a little warm for Seattle, it will ensure your air conditioning doesn’t turn on until it’s absolutely necessary, and it will save you plenty. 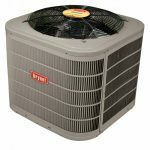 Start your air conditioner early, even in Washington State: You might think it’s counter intuitive to run your air conditioning all day even if you are not home, but this is a great way to save energy. It allows the A/C to keep the house cool and run at lower speed (using less power), vs. starting up at full blast when you get home during the heat of the day. Consider modern, energy efficient lighting: While you’re redoing your central air, think about also improving your light fixtures for more energy-efficient processing. Shop for LED light bulbs which can last for up to 25 years and save dramatically on energy vs incandescent bulbs while reducing the heat your lighting produces by just being on! Keep the oven off: Do your best to keep the heat down in your house by keeping your oven off during the day. As much as possible, do your baking and cooking at night, and use a microwave, toaster, or outdoor grill for daytime cooking. Weather-proof your home: Keep the hot air out of your house through weatherproofing. Close your blinds during the day to keep the beating sun out, and open them at night to allow cool air to seep in. Also, have your caulking and insulation inspected to ensure that no air is leaking into your home around your windows. Most residents agree that air conditioning is worth the start-up cost, even in Seattle, Lynnwood & Tacoma. It will help you and your family to remain secure and cool during the hot summer days. Use the foregoing tips to help you keep your utility bill low while improving your quality of life. If you think you might like central air installed in your home before the hot weather arrives, contact us today for a quote or to get any of your questions answered. Do you have air conditioners with humidity control? Hello Dave, yes we do have air conditioners with humidity control. The Bryant 187B air conditioner using the Connex Control thermostat allows you to access their “perfect humidity” feature. This provides superior humidity control vs other A/Cs. Call us for a free estimate if you would like to learn more. Thanks!